The first in a series of events being held in Padiham to highlight the work being done to combat crime and anti-social behaviour in the town will be held next week. The events will also give residents the opportunity to raise issues and areas of concern, as well as finding out more about what is happening to tackle local problems. An online Police and Communities Together (PACT) session will be held on Wednesday November 1st between 4pm and 7pm. During the session people can ask questions via social media (Facebook/Twitter) and email and they will get responses from the police and council officers, together with representatives from Burnley Leisure and Lancashire County Council’s youth outreach services. People are also being encouraged to submit their questions before the event by emailing communications@burnley.gov.uk as well as taking part in the “live” online session. On Thursday November 16th council leader Mark Townsend will hold one of his regular surgeries at the town’s Tesco supermarket, from 6pm to 8pm. As usual the surgery will provide a chance for residents to ask Coun. Townsend questions about any aspect of the council’s work, not just crime and anti-social behaviour. On Wednesday November 22nd a public drop-in event will be held at Padiham Fire Station, Station Road, between 3pm and 7pm. A range of organisations including the council, police, Calico, Burnley Leisure and other youth services, Burnley FC in the Community, and representatives from the voluntary sector will be on hand to answer questions and give information on the work being carried out in the town to tackle crime and anti-social behaviour. 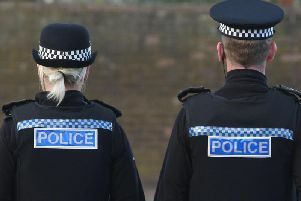 The borough’s MATAC group, which brings together a wide range of agencies to take a co-ordinated approach to tackling crime, is organising the campaign.